Fall Beverages To Spice Up The Season! To help enjoy the fall season, we found a number of beverages that will make your Autumn comfy and cozy! As the leaves begin to change from vibrant greens to warm oranges, yellows and reds, we know y’all are dying to huddle around the fire or sit inside a cozy tavern drinking your favorite fall cocktails. What better way to celebrate the comfiest season than by throwing back a few fall-inspired drinks? With maple and pumpkin flavors in everything right now, we know these drinks will get you in the mood for a cozy afternoon or a great night! First on our list of fall must have beverages is the classic spiked cider. 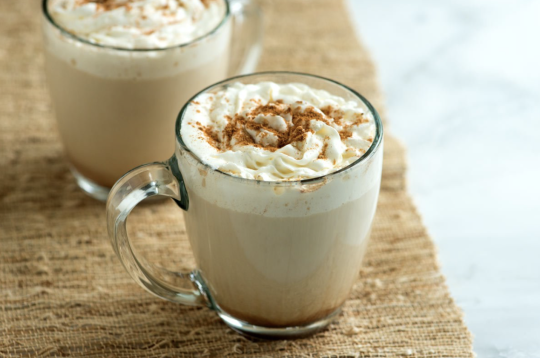 We love this classic drink because it is so easy to make and the perfect treat for family and friends stopping by during this busy time of year. Want to have the best mulled cider of the season? 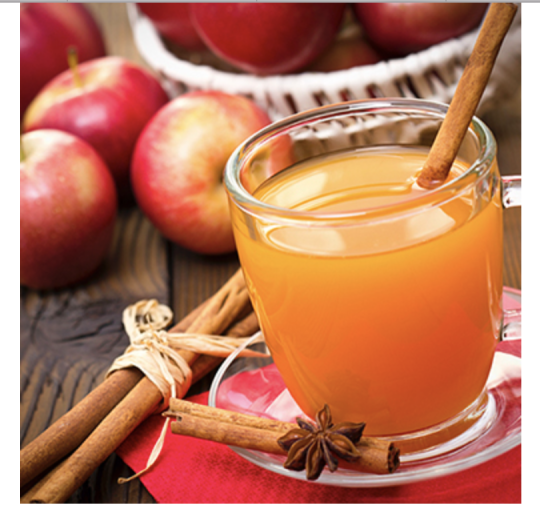 Make sure to start off with apple cider with no added sugar or spices. If you can, try to find local unpasteurized cider! Once you begin heating up the cider, it time to add cloves, cinnamon sticks, and spicy fresh ginger! Heat up the ingredients, spike on your own, and serve! Fill the slow cooker: Pour the cider or juice into a 5-quart or larger slow cooker. Add the fresh ingredients: Cut the orange into ¼-inch-thick rounds. Cut the ginger into ¼-inch-thick slices. Add both to the slow cooker. Add the spices: Add the cinnamon sticks. Add the cloves and optional spices. To make it easier to serve, place the cloves and spices in a tea ball first, or place in a double layer of cheesecloth or paper coffee filter, gather it up into a sachet, and tie closed with kitchen twine. Slow cook the cider: Cover the slow cooker and cook until the flavors meld, 4 hours on LOW. (If there are clumps of spices floating at the top that you wish to remove, strain the cider through a fine-mesh strainer or cheesecloth into a large pot.) Keep warm and serve in mugs garnished with additional orange slices if desired. In addition to cider, we also love Festive Cranberry Fizz! 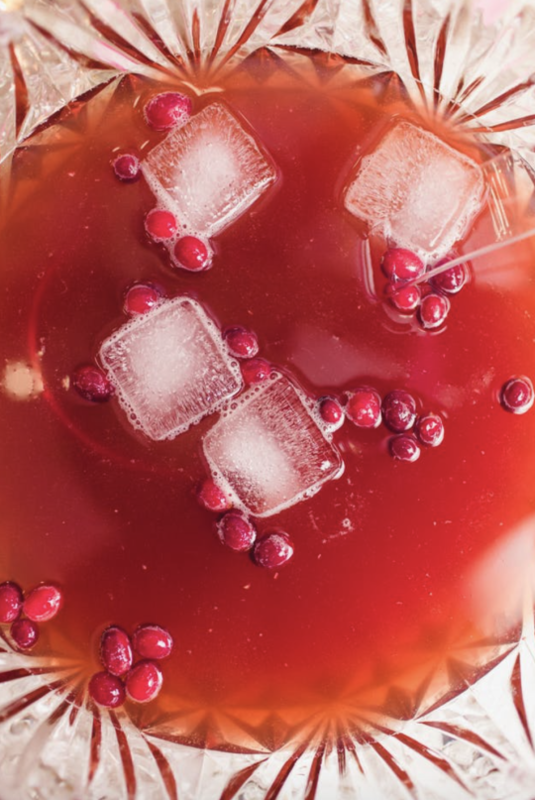 This drink takes your party punch to another level by adding a warm fall pomegranate twist. This drink is easy to make and will definitely be a hit at your next fall gathering. When making this punch, you have to make sure to prepare the syrup and the punch mix separately. For the Cranberry Rosemary Syrup: begin by mixing the cranberries and ginger in a food processor. Once chopped, add these ingredients to a 3 quart sauce pan along with sugar and cranberry juice cocktail. Bring to a boil and then slowly add the rosemary and then lower the heat to a simmer for approximately 5 minutes. Let cool, preferably overnight, in a refrigerator and then put the syrup through a strainer to eliminate any leftover solids. For Cranberry Punch Mix: Place the tea leaves in a heat proof bowl, pour boiling water, and allow the leaves to steep for 3 minutes. Next, strain the leaves and add in the Cranberry Rosemary Syrup, pomegranate molasses, and orange bitters. Once finished, let cool and refrigerate the punch for at least 4 hours. If you’re lucky enough to be spending our favorite season in Nashville, head on over to Pinewood Social for a cup of their Southern Limerick. 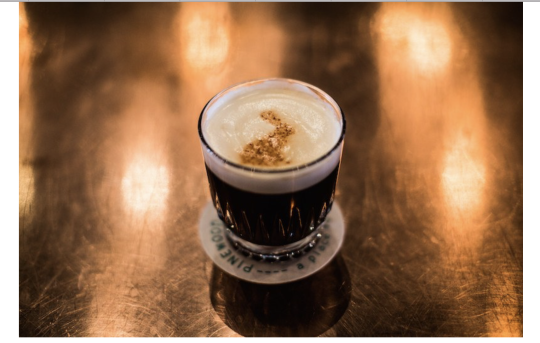 We all know there is nothing better on a cool day than a steaming cup of hot coffee, but Pinewood has taken this drink to the next level by adding 1776 Rye, Meletti and heavy cream! This sweet treat is perfect alongside breakfast, lunch, or dinner depending on the mood you are in. Not able to make it to Nashville? Try making this one at home. 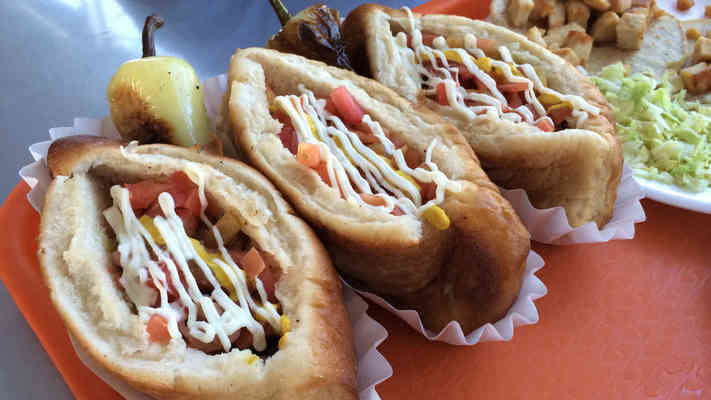 The recipe is easy and simple, but is always a hit! Not exactly crisp weather where you live? Celebrate the season with a cool drink instead. 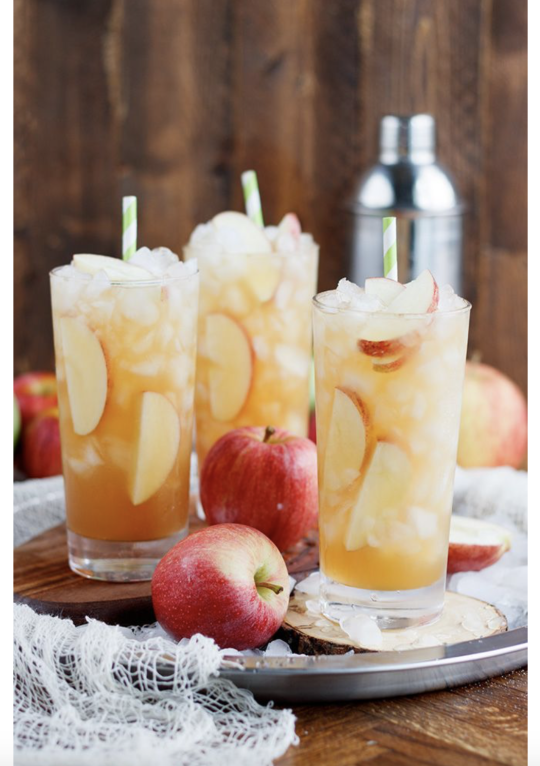 We love long island iced tea, but Jennifer Meyering’s Long Island Apple Iced Tea gives the traditional drink a fall kick that we can’t get enough of. Check out the easy to make cocktail here! Add triple sec, white rum, gin, vodka, and apple cider to shaker. Shake for 20-30 seconds to combine. Strain equally into 2 glasses filled with ice. Top each with 1 oz lemon lime soda. Garnish with apple slices, if desired, and straw. Enjoy responsibly! 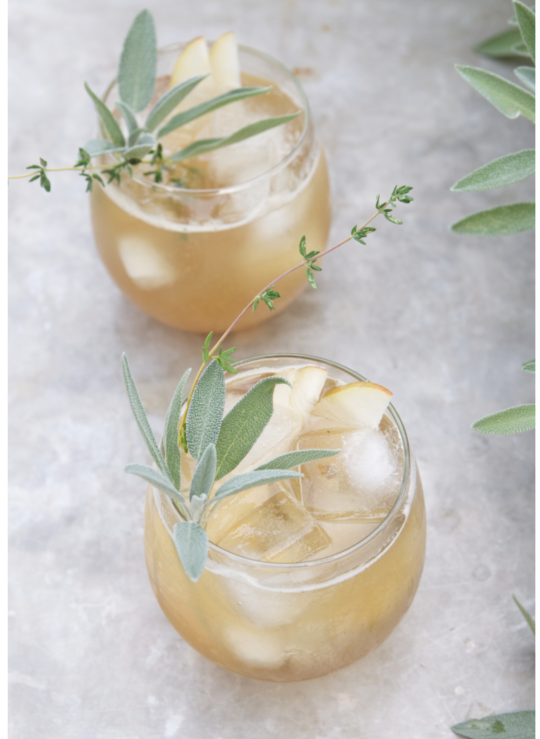 Another one of our favorite cool drinks is bloggers Holly and Flora’s Bourban and Spiced Pear Cocktail. The bloggers wrote, “the cocktail itself is a mashup of sweet, savory, herbaceous, and bitter aromas and flavors. 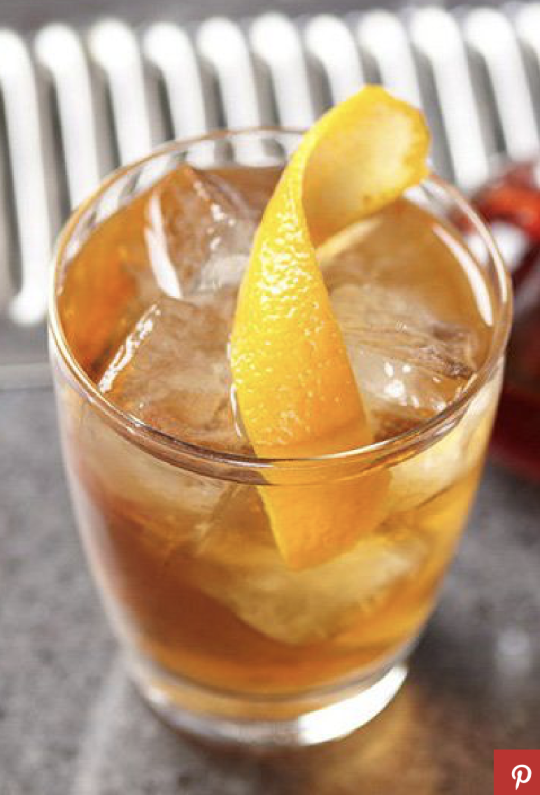 I find that adding bitter notes to an otherwise fruity cocktail brings balance to the components of a cocktail and really brightens and sets it off.” We love fully embracing the fall spirit and this cocktail is the perfect kick-off to your holidays. This drink is a little more complicated to make at home, but we know it is worth it if you are up for the challenge. To see the full instructions on how to concoct this tasty fall treat, check out Holly and Flora’s blog HERE! Can’t get enough of these fall cocktails? Make sure to try one of our favorites, the Whiskey Sour. This drink not only gives us all of our favorite fall flavors, but truly has that southern feel to it. Add bourbon, lemon juice, and sugar to cocktail shaker. Shake with ice and strain into chilled rocks glass. Finally, one of everyone’s favorite fall drinks is the Pumpkin Spice Latte. As much as we love getting this classic drink at a nearby Starbucks or coffee house, why not try making it at home? With this easy to follow recipe, you can make your own PSL without leaving your kitchen. Dived mixture between 2 mugs and top with whipped cream and pumpkin pie spice! With so many fun fall drinks, we know the season is off to a great start! Try out all of the recipes and let us know which ones are your favorites! For more delicious fall beverages, check out recipes for Hot Cider Nog, Spiked Pumpkin Chai and Pumpkin White Hot Chocolate.